As the holiday season comes into full swing, many athletes are hard at work practicing their sport and honing their athletic prowess. One unfortunate consequence of sports and other athletic activities is the suffering of an injury. When you are afflicted with any degree of injury, it’s essential to take the proper steps to minimize the damage while optimizing recovery. Suffering a sprain, twist, or fracture can be painful, especially if diagnostic imaging does not catch the full extent of the injury. When you suffer an injury, it’s vital to find affordable imaging services that are both thorough and accurate to ensure that you are able to receive the best medical assistance possible. North Pittsburgh Imaging Specialists is proud to be Pittsburgh’s imaging service experts, providing MRIs, CT scans, ultrasounds, and general x-ray services to our Pennsylvanian patients. We strive to deliver quality results that are both accurate and affordable. 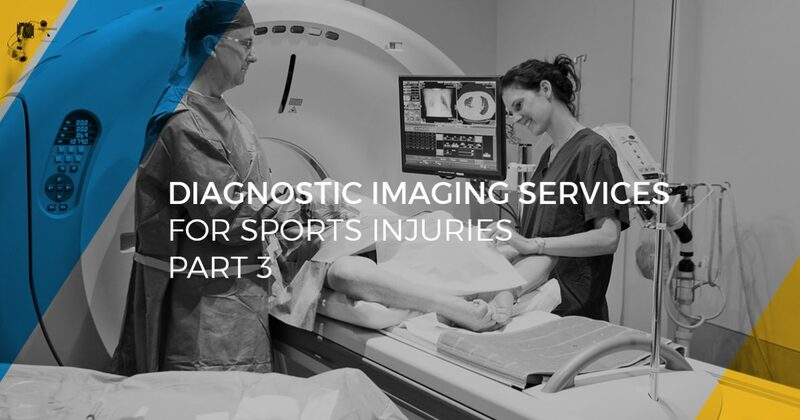 Today, we’ll continue to discuss the different types of diagnostic medical imaging available to check a variety of sports injuries. If you are in need of affordable imaging services for any reason, be sure to contact our certified radiologists today for assistance! X-rays are helpful for providing a general view of the body when bone fractures are a concern. If an injury is found, though, these scans may not provide enough insight to deliver a full prognosis of the injury. CT scans are helpful for taking a detailed look at your bone tissue. Smaller injuries with the bones can be missed by an x-ray while CT scans provide precise visuals for micro-tears. This technology also allows for accurate assessments of muscles, tendons, ligaments, and cartilage. If your physician decides that your injury is a muscular tear, an MRI will probably be in order. This service relies on magnetic imaging to offer a fully in-depth look into the body. We can take scans of the area in question, providing a detailed look into the health of your muscles, joints, and spinal column. MRIs are often used to diagnose ACL ruptures, meniscus tears, and other serious injuries. MRI imaging services can come with a high price tag, typically making MRI scans a last resort. Seeing a scan of your injury is one thing, but seeing how it works during movement can help to illuminate the concerns. Athletes who have suffered from dislocations, hernias, and fluid accumulation around the injury site may need to undergo ultrasound testing to see the combination of these issues in action. These scans rely on sound, creating a safe and cost-effective solution for hurt athletes as well as expectant mothers. If you are dealt a painful sports injury, it’s important to see a doctor and properly recover for the best results. Failing to take the proper precautions can cause serious long-term problems. Utilizing a team of imaging providers can help to provide a better diagnosis, fostering better recoveries to get you back on track. If you are in need of affordable medical imaging, North Pittsburgh Imaging Specialists can help! We are a proud provider of Pittsburgh’s imaging services, delivering accurate results to help optimize your road to recovery. Contact us today to schedule your appointment.